Tradition and class sum up Crystorama's Majestic Collection. The Historic Brass finish is a nice transitional finish that compliments both brass accents and silver highlighted tones. 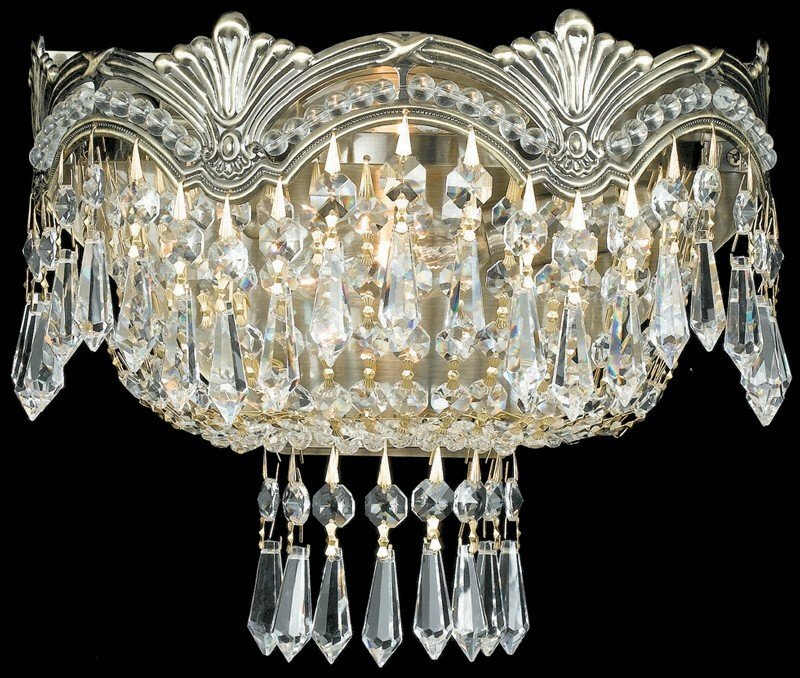 The Crystorama 1480-HB-CL-S Majestic collection Sconce Wall Lighting in Historic Brass uses Incandescent light output and brings Antique style. This item is 8"H x 10"W x 6"D. The total wattage is 120 and the voltage is 120 volts. The Crystorama 1480-HB-CL-S requires 2 bulbs. 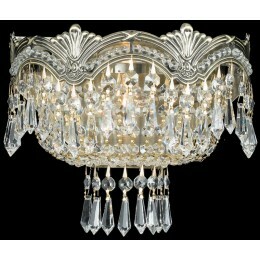 Additional Information: Shade-Clear Swarovski Strass Crystal.